Can you tell us about your job? What led you to become a florist? If you look at my elementary school yearbook, you’ll see that I actually wrote “Florist” under “Future Job”. My grandmother, who loved plants and working in her garden, was a big influence. One day when I was in high school, I was cleaning the house and came across a collection of Western books on flowers. They had belonged to my grandmother, who had passed by then. The books were beautiful, and I learned about the work of floral design for the first time. I’d always enjoyed making things with my hands, and I became smitten with the idea of working with flowers of all different types, shapes, and scents. Fro there you joined U.Goto Florist? Yes, I started working for Goto Flower Shop, currently U.Goto Florist, right out of high school. 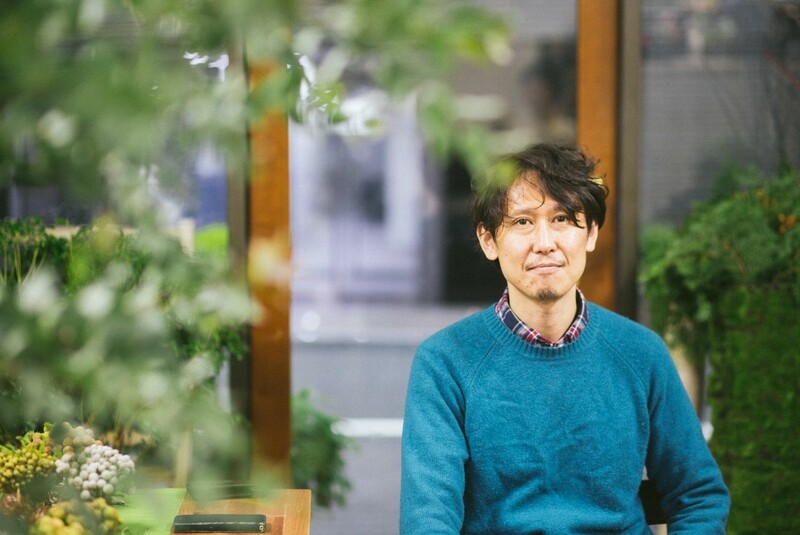 U.Goto Florist is based in Roppongi and has a 120-year history. 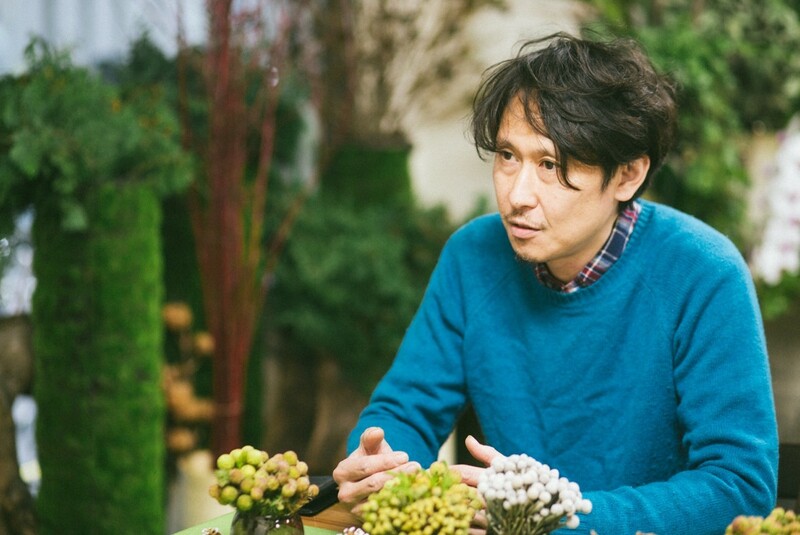 It’s the first florist in Japan that handled Western flowers. French, Dutch and German florists stood in the shops at the time. Floral design is based in classic European styles, and I felt the Western florists at the shop were much more skilled than the Japanese florists entering the contests. My goal was to catch up with the florists at my shop, and to learn their techniques. What was a turning point for you as a florist? I’d say it was being able to design large floral decorations and entire spaces. 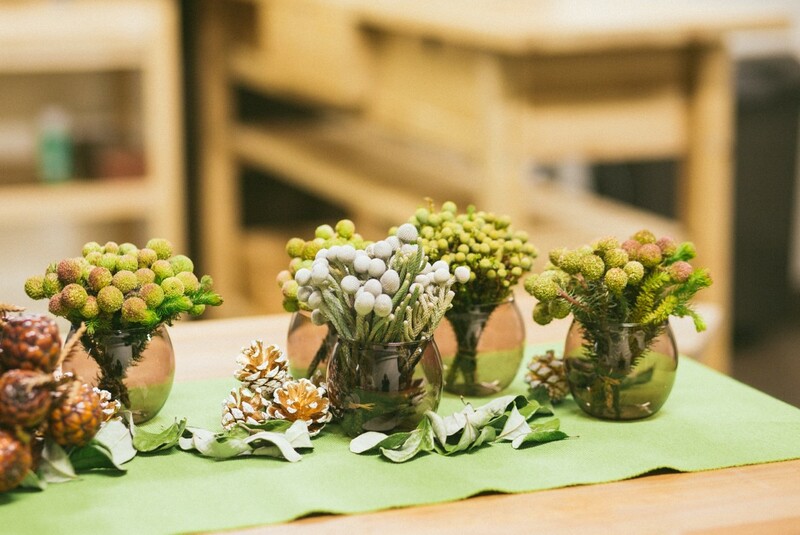 The basics of floral design are taught through small floral arrangements. After training at the Roppongi shop, I began designing for weddings at the Hilton Hotel and events at the Imperial Hotel, which is where I learned how to best maximize a space. 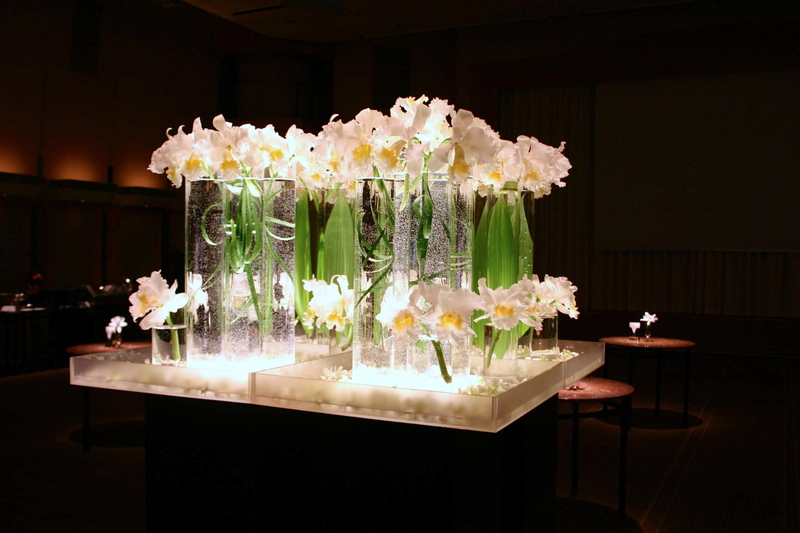 Miyanaga: I paired white cattleyas, often called the “queen of orchids”, with glass cylinders. When lit up, the cattleyas appear to be floating. At the Imperial Hotel, I was involved in large events such as 100-year company anniversary celebrations and official swearing-in ceremonies of corporate presidents. I helped experienced designers decorate with a thousand bamboos in one case, and work all night to bring a Japanese rock garden to life in another. What is an “Official Designer” at Goto Florist? In 2002 at age 28, I received the approval of the company president and was appointed Official Designer. There were five of us in a company of a hundred staff members, and I was finally allowed to stand side-by-side with the Western designers. It was a tremendous learning experience for me to participate in large spatial design projects. Florists must be able to come up with ideas that exceed clients’ imaginations. They have to understand floral design history and be up on trends around the world. They must also be able to present their work in the form of illustrations. They take in clients’ requests in a meeting, and present their own suggestions in a way that can lead to agreement. When the Cerulean Tower Tokyu Hotel opened in Shibuya, I was put in charge of the new shop inside the hotel. I learned the ins and outs of initial opening costs, budgeting, and management. I then returned to the Imperial Hotel as shop manager and stayed there for almost ten years. I’d say that job trained me well. And then you launched your own business. I’d always planned to start my own business at age 40. I was able to achieve my goal of becoming top florist at U.Goto Florist, which gave me the chance to work closely with the owner of the company. We were able to part ways amicably, and I was ready to take my next step. I traveled around Europe for about a month, and worked in wedding planning and production abroad for about a year and a half. 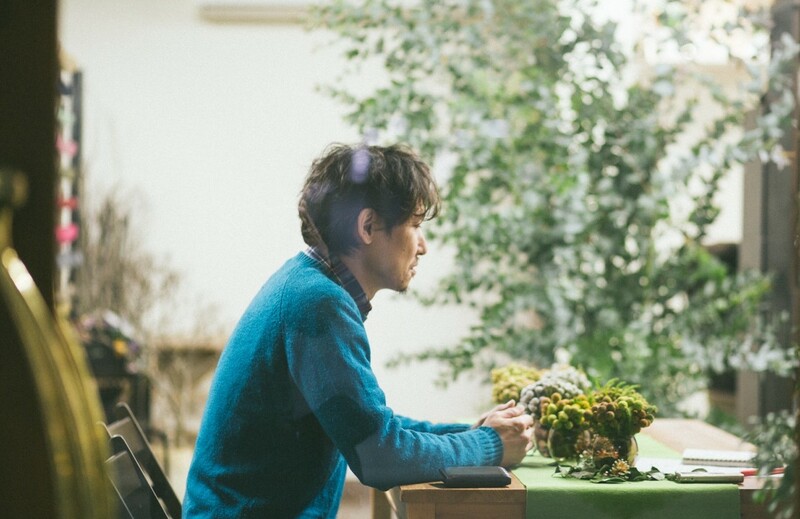 I returned to Japan in 2013 and opened a floral design company in Setagaya, Tokyo. 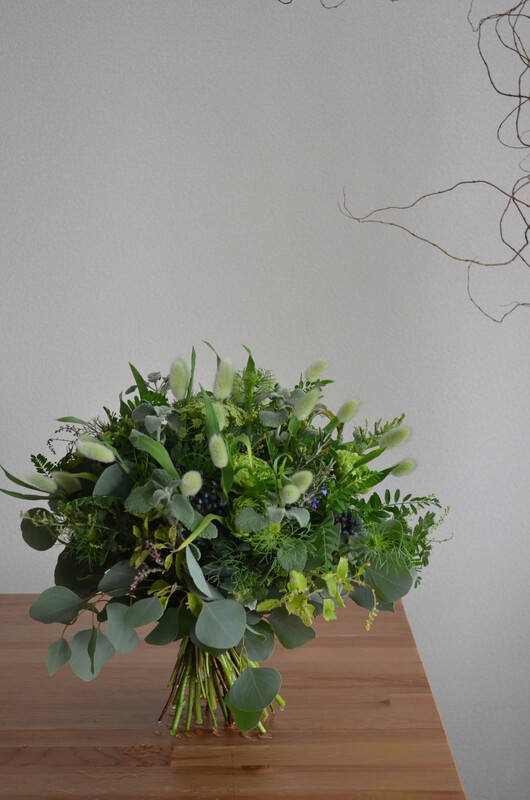 We would eventually move to Tsukiji, where I’ve continued creating floral designs for weddings, demonstrations, and bouquets. I chose not to have a physical shop. Instead we take orders, starting with a single bouquet. It warms my heart when I receive an order from someone who says they enjoyed a bouquet they received as a gift. I’ve never made the same bouquet twice. It’s not just about the design. Every flower has a different expression, so even when the same ones are used, no two bouquets come out the same. And there are infinite ways to combine flowers and greens. 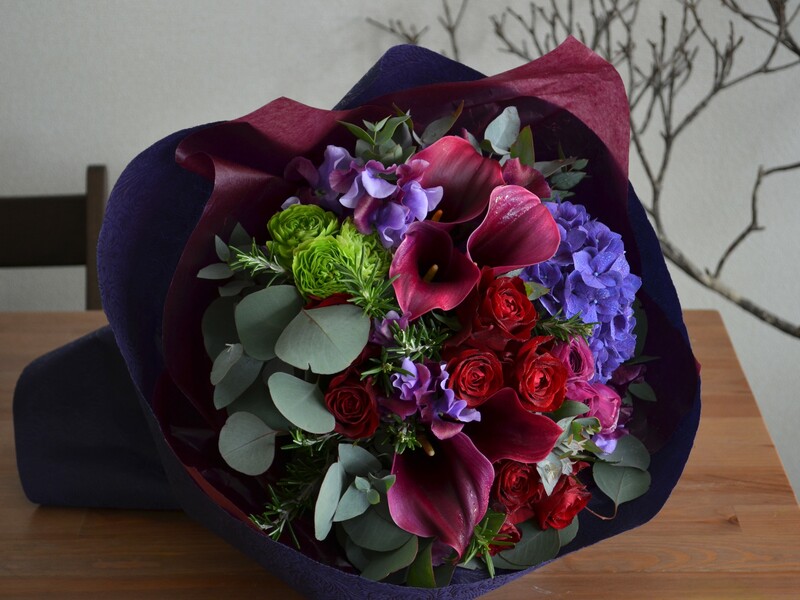 Miyanaga: This bouquet was a gift for an elegant woman whose favorite flower is the calla lily. I wanted to create a stylish bouquet with chic colors, centered on deep reds. What power do you think flowers possess? Take a bride’s bouquet, for example. Some people now use artificial bouquets, but there’s really nothing better than live flowers. 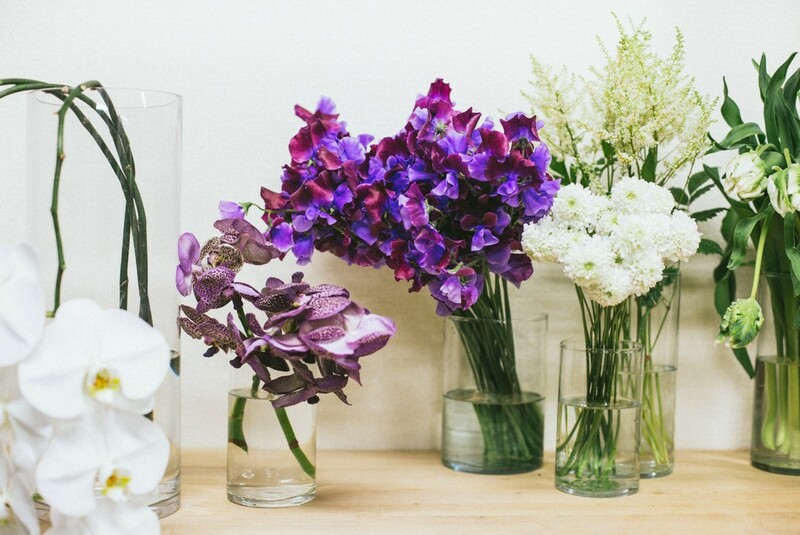 Real flowers possess the power to ease anxiety and calm the nerves. Personally, I recommend flowers with a scent, as scents create a lasting memory. And I also recommend that on wedding anniversaries, husbands gift their wives with the same flowers from their wedding. It brings back all of those happy memories. Flowers have seasons, so whether I’m designing for a space or making a bouquet, my suggestions are based on which flowers I believe will give their ‘best performances’. Plants speak to our emotions. Enjoying what’s in season is a luxury that fulfills us.